This recording was made during the trip to Lapland in the beginning of July 2013. We found a nice quiet place for tents by the lake Inari. 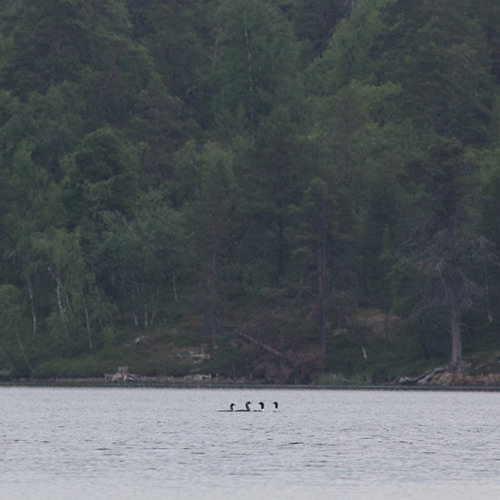 Only after that I discovered that there were Black-throated Loons (Arctic Divers) on smaller part of the lake. They were not very vocal, but in the morning I succeeded to record their calling and water-splashing. This was a very special opportunity for me and I enjoyed this morning immensely. It was first time for me to hear loons calling.